Welcome to the resource section! We will provide you comprehensive information of helpful resources designed to assist and educate you on our city. 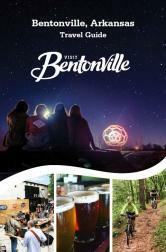 If you are unable to find what you are looking for on our website, please contact Aaron Mullins, Director of Communications and Marketing, at Visit Bentonville.